of my crafting goals – not even close! amount of time (which is the complete opposite of knitting for me!). length is right but they fall off when the kids are running around. afraid that I will totally screw it up. finishing would also be good! sweaters for the kids and also for myself. kids because it doesn’t take nearly as long. presents I am working on – yes Christmas presents! do what I set out to, instead of letting the time escape me. 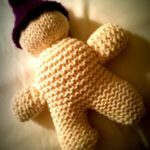 have I been psyching myself out too much? So you spurred me to start composing a crafting goal list for my own blog and I got overwhelmed with just the projects that are currently in progress. I like the idea of the receiving blanket quilt. I need to make two T-shirt quilts from my children's large collection. Go for it. 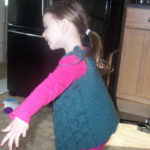 When my daughter was little I made her several jumpers to wear. She loved them. Wow you have got a lot of goals. I hope that you manage to achieve them all and more. Towards the end of the year I had lots of plans for this year, making dresses for me and my grown up daughter, knitting for friends and family. We have move to a new location on the cards now so I'm not sure how many of them I'll achieve but I'm sure that I'll be able to put my creative skills at use decorating or making blinds or curtains. There are always lots of things I want to do at the beginning of a year……..at the moment I am taking stock as I did so much crafting for Christmas. 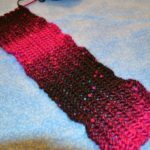 I love that yarn. I couldn't tell by the photo but does it have sparkle to it? I have been making big people cowls and not even thinking about making them for kids! What was I thinking!?!?!? Of course kids would like them better!! I made neckies out of fleece for my kids to match the fleece hats we made and wore it all skiing and it was good and safer and stayed on and tight and warm! I think you just gave me a great AHA! moment. 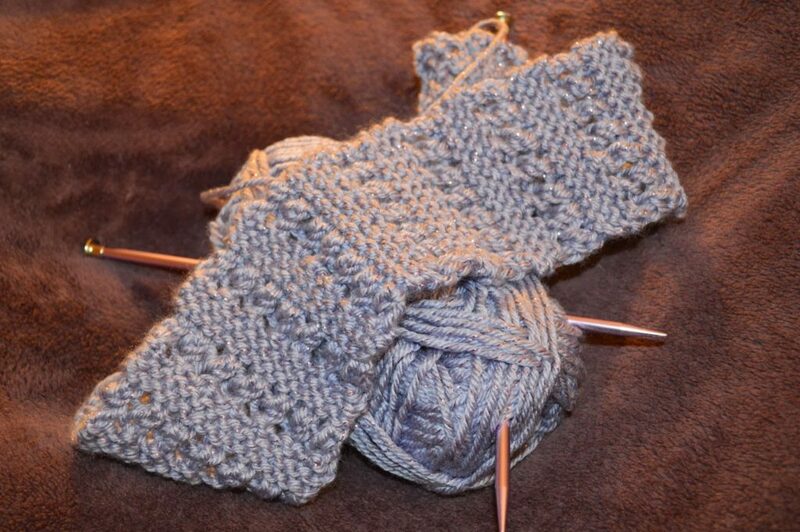 I can start new year's christmas knitting as soon as I get home!! OK, maybe not yet, but anyway. Great ideas! Thank you so much! I think making the pajama pants longer is a great idea (and one I never thought of! ), so I will definitely be trying that! Yes, cheerleader is a great thing!!! colorwork…yes…that is something I keep saying I will learn as well, but haven't yet. I have enough trouble with stripes…so not sure I am ready 🙂 Good luck!!! I rarely knit myself anything, but I was given a gift card for Christmas with the expectation that I would get something for myself. 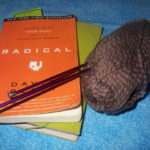 So I am going to go out and buy the yummiest yarn I can find and knit up some socks for myself. 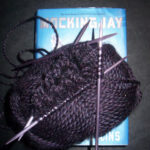 I better work on finding a pattern…I only have baby sock patterns…I’m hoping it doesn’t take too long. I have heard adult socks can be a not so fun project. 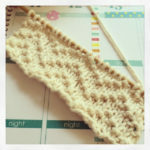 I am hoping for an easy pattern that will knit up quickly though. I have it in my mind that I will make all of my presents this year. I’m not sure if I will be able to accomplish this goal or not, but I am going in with a positive attitude. And while I don’t want to be thinking about Christmas gifts for 2012 right now, I think what will help me accomplish this goal is to start making now, and setting things aside for the holidays. I am also going to cut way back on who we make for this next year. I think we may be getting close to the time when we just give presents to the kids in the family, instead of everyone. It gets really expensive, even if you are making it yourself. This is one I have been thinking about for a while now. I would love to learn to make soap. It seems like a fun hobby. I think it might be a little expensive to start though, so I might not start that until some of our homestead goals are taken care of. I really would love to sell something that I make. Maybe through a craft fair in the fall or on etsy. I haven’t decided what I want to make to sell, but I’m sure I will come up with something. What about you? Do you have some crafting goals this year? 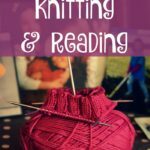 Joining Ginny in her yarn along! I think you are awesome and the fact that you handmade as many gifts as you did is pretty impressive! Oh and I used to make soap all the time – it's pretty easy!!! Good luck, and well done for putting some things for yourself on the list. It's easy to make things for others only! I thought about soap making just today as well, how I would like to learn. Maybe we'll both manage this year?! I wish you the best of luck with your goals. They sound very attainable.